Happy New Year! 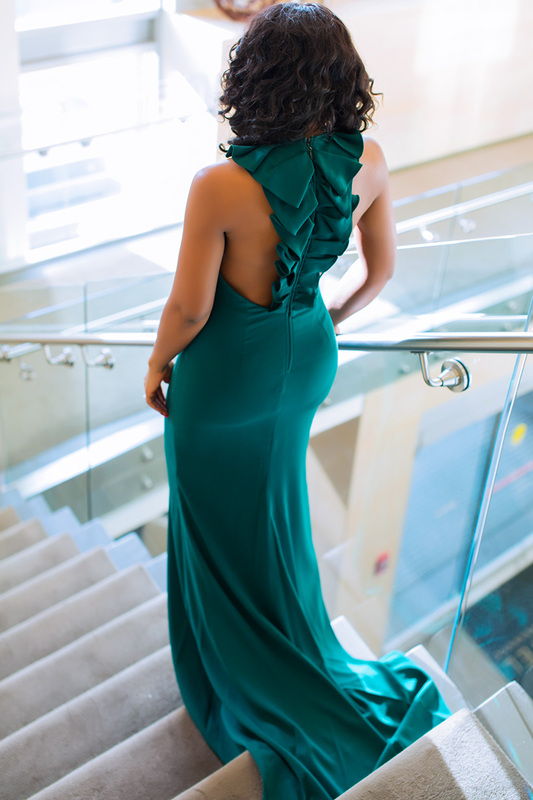 For my first post in 2016, I am choosing this emerald green dress as it embodies my style and personality i.e. elegant, fun and unique. When it comes to dresses, I love a mix of class and something unique and this dress fits that description. I plan on traveling to Europe and Asia; I enjoy traveling and learning about different cultures. I hope to visit countries that I have never visited before. I plan on getting Nolan involved in more fun activities such as playing musical instruments, more playdates and keeping up with his swimming classes. I plan on resting and enjoying more quality time with my husband. We definitely need some breaks to spend more time together. I plan on learning another language and possibly, sign language. Nolan learns Spanish in school so it should be fun educating myself. Above all, it is my goal to focus on God in 2016 as his mercies endures forever. These are some of my goals from the list I have made; what are your goals or resolutions for 2016? What a gorgeous dress! I love the color! You are born to be a Diva, just love stopping over. This dress is STUNNING. I love that back!! The details on the back are stunning! You look lovely in it. Happy New Year! Gorgeous, for lack of a much better word. I hope I learn to speak another language this year tho, probably Hausa... Amen. Indeed very elegant and classy!